Kathryn Finney is the founder and Managing Director of digitalundivided, a social enterprise helping Black and Latina women own their work using innovation and technology as a tool. She is a White House Champion of Change, a past member of the National Advisory Council on Innovation and Entrepreneurship (NACIE) appointed by U.S. Secretary of Commerce Penny Pritzker, and a General Partner at Harriet Fund, the first impact venture fund for high-potential Black and Latina women-led startups. Kathryn has received numerous honors including Grace Hopper ABIE award, Ebony Power100, and Black Enterprise' 40 Under 40. A Yale and Rutgers graduate, she received an Honorary Doctorate from Mount Holyoke College. An Echoing Green Global Fellow, Young American Fellow and Eisenhower Fellow, Kathryn currently serves on the board of Public Radio International. Aaron Hurst is a globally recognized social entrepreneur who works to create communities that are empowered to realize their potential. He is the CEO of Imperative, a B Corp advocating for Purpose-Oriented Workers and supporting the organizations that embrace them. 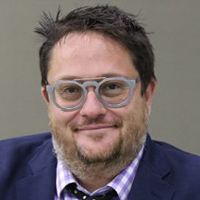 Aaron is the founder and an active advisor to the Taproot Foundation where he was the catalyst and lead architect of the $15 billion pro bono service market. He was the creative force behind the conception of the White House's Billion + Change campaign. Aaron is a member of the Net Impact board, and his purpose type is Empowerer. Derreck Kayongo was born in Kampala, Uganda just before General Idi Amin Dada seized power in a military coup. The new regime became known for its brutality, and today Idi Amin is one of history's most notorious dictators. As violence spread through the country and civil war erupted, Kayongo and his family became refugees in Kenya. He later immigrated to America to attend university. Today, he is a successful entrepreneur and human rights innovator. 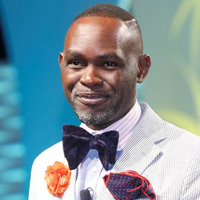 Though most well known as a 2011 CNN Hero and founder of the Global Soap Project, Kayongo is a renowned expert in environmental sustainability and global health, as well as the current CEO of the National Center for Civil and Human Rights in Atlanta, Georgia. In 2016 the Georgia State Senate passed a resolution recognizing Kayongo's incredible journey from refugee to CEO. 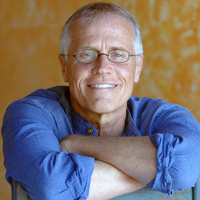 Paul Hawken is an environmenta­­­­­­list, entrepreneur, author and activist who has dedicated his life to environmental sustainability and changing the relationship between business and the environment. He is one of the environmental movement’s leading voices, and a pioneering architect of corporate reform with respect to ecological practices. His work includes founding successful, ecologically conscious businesses, writing about the impacts of commerce on living systems, and consulting with heads of state and CEOs on economic development, industrial ecology, and environmental policy. Paul is Executive Director of Project Drawdown, a non-profit dedicated to researching when and how global warming can be reversed. The organization maps and models the scaling of one hundred substantive technological, social, and ecological solutions to global warming. Paul is the author of Drawdown—The Most Comprehensive Plan Ever Proposed to Reverse Global Warming, a New York Times bestseller. Read more about Paul’s background here. As chief executive officer of Clif Bar & Company, a leading maker of nutritious and organic foods and drinks for people on the go, Kevin focuses on expanding Clif Bar’s growth in the sports nutrition and healthy snacks category while leading the company’s day-to-day business operations. Guided by Five Aspirations – Sustaining our Business, our Brands, our People, our Community and the Planet – Kevin has grown Clif Bar’s product portfolio, expanded national and international distribution, increased the company’s use of organic and sustainable ingredients and launched the company’s first owned and operated bakeries in Twin Falls, Idaho, and Indianapolis, Indiana. A runner, cyclist and father of three, Kevin is a two-time Ironman finisher, has competed in several Half Ironmans and has completed six marathons. In 2015, Kevin competed in NBC’s American Ninja Warrior. Kevin holds a bachelor’s degree in social science from the University of California, Berkeley. He earned his master’s degree in business administration from Northwestern’s Kellogg School of Business. 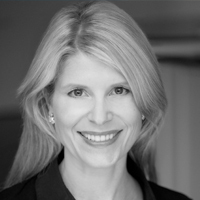 Shannon Schuyler is a Principal and PwC Americas’ Chief Purpose Officer and Corporate Responsibility (CR) Leader. She also serves a member of PwC’s Global CR Board and is the President of the PwC Charitable Foundation, Inc. In her role as Chief Purpose Officer, Shannon is working to infuse Purpose into PwC’s core business strategy by elevating the global conversation on building trust, collaboration and acting with intention and meaning in every practice, service offering and engagement. She serves as a managing editor for Huffington Post's What's Working initiative and is helping to redefine the role of Purpose as a critical avenue for achieving business growth. Shannon is a board member of numerous charitable organizations including The National Environmental Education Foundation and Leadership Greater Chicago. Join the conversation with Shannon at @ShannonSchuyler. Kerry Kennedy is the President of Robert F. Kennedy Human Rights, where she has served on the board since 1981. Ms. Kennedy is the best-selling author of Being Catholic Now, Prominent Americans talk about Change in the Church and the Quest for Meaning (Random House 2008) as well as Speak Truth to Power, Human Rights Defenders who are Changing our World (Random House 2000). Kennedy’s life has been devoted to the vindication of equal justice, to the promotion and protection of basic rights, and to the preservation of the rule of law. She has worked on diverse human rights issues such as child labor, indigenous land rights, LGBTI rights, access to education and to health care, ethnic violence, and the environment. She has concentrated specifically on women’s rights, exposing injustices and educating audiences about women’s issues. Ms. Kennedy is a graduate of Brown University and Boston College Law School, and is licensed to practice law in the District of Columbia and Massachusetts. As executive director of the Walton Family Foundation, Kyle Peterson leads all foundation operations and, with the board of directors, guides program strategy and grantmaking of more than $400 million annually. He has more than 25 years of social sector experience leading initiatives related to education, workforce development, domestic and global health, economic development and the environment. Before the foundation, Kyle led global engagements for FSG as managing director and board member and managed more than 100 consulting projects in the areas of strategy, program design, operations and evaluation. Before joining FSG, he was a strategy consultant at the Monitor Group and a country director in Zimbabwe and Rwanda for Population Services International. 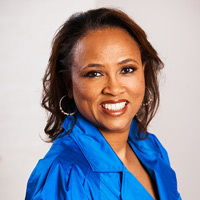 Cheryl Dorsey is the president of Echoing Green, a global organization unleashing next generation talent to solve the world’s biggest problems. A social entrepreneur herself, Cheryl received an Echoing Green Fellowship in 1992 to help launch The Family Van, a community-based mobile health unit in Boston. Cheryl has served in two presidential administrations and serves on several boards including the SEED Foundation, The Bridgespan Group and, previously, the Harvard Board of Overseers. She has received numerous awards, including the Pfizer Roerig History of Medicine Award, the Robert Kennedy Distinguished Public Service Award, and the Manual C. Carballo Memorial Prize. Cheryl was named one of "America's Best Leaders" by US News & World Report and the Center for Public Leadership at Harvard Kennedy School and one of The Nonprofit Times' "Power and Influence Top 50." She has a medical degree from Harvard Medical School and her Master's in Public Policy from Harvard Kennedy School.